Wednesday’s Caulfield Cup (2400m) barrier draw was less than kind to Chris Waller’s four-year old mare Youngstar, who has drawn gate 10 ahead of Saturday’s $5 million mile and a half feature. Youngstar, above, is hoping to improve after running second behind Winx last start. 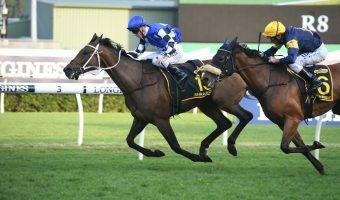 Tabbed as the favourite prior to the final field being announced, the Group 1 winner is out to $5.50 with Ladbrokes as the Cup’s second-elect. 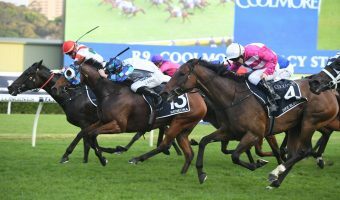 In her place, Darren Weir’s Irish import Kings Will Dream, who has firmed into $5.00 favourtism after drawing barrier six. 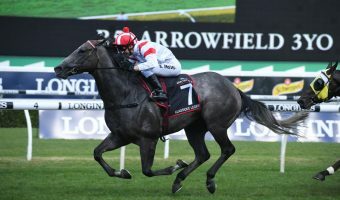 Jockey Kerrin McEvoy gets the ride on Youngstar this weekend just a fortnight after the pair finished second behind Winx in the Group 1 Turnbull Stakes (2000m) at Flemington, and when asked about the step up to 2400m journey, McEvoy insists the run in the Turnbull was a good indicator of Youngstar’s form. 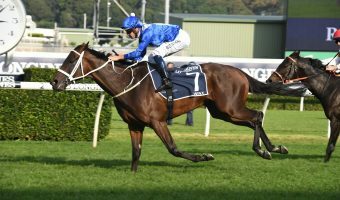 “It was a great run in the Turnbull, we obviously loomed up and at the furlong I was thinking geez, where’s Hughie (Bowman) and I couldn’t hear Winx, or see him, but I let go with a nice finish and we only got beat by two lengths by the great mare Winx, so that’s a good form line coming in” McEvoy told Racing.com. Although the wide gate might be a hindrance, McEvoy also thinks the 51.5kg weight should make things a little easier on the pair on Saturday. “We get up to 2400m which looks a plus as well, and we’ve got a nice weight of 51.5” McEvoy claimed. Out of the 20 horse field (which includes two emergencies), only Youngstar, Homesman, Ventura Storm, Mighty Boss and Patrick Erin have Group 1 wins under their belt. 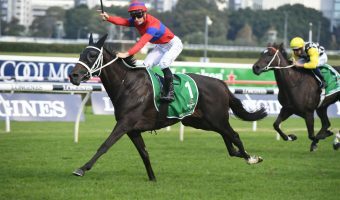 For McEvoy, he rode Youngstar to maiden Group 1 glory at Doomben back in May in the Queensland Oaks over 2200m, and when asked again if her first run at 2400m would pose a problem, he didn’t hesitate to stress how relaxed his mare is. 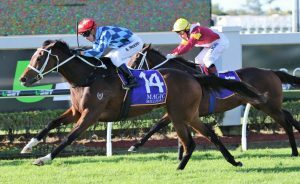 “The Oaks win, she was strong at the end of it there in Doomben,” McEvoy said. Youngstar ran the Oaks in a time of 2:17.47 seconds, beating home Another Dollar and Sheezdashing by a nose. It’s likely we see her dive at the line from the outside again in her first Cup run on Saturday.